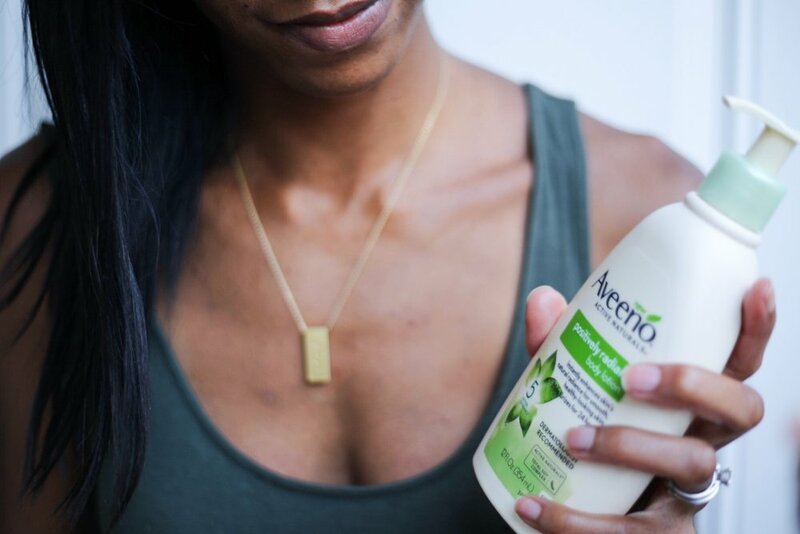 #Positively Radiant Summer Skin with Aveeno — The Mom Life Co. If you've been following my Instagram stories lately, you'll know that after turning 30 in May, I buckled down on my skincare routine! This is 30. Truth? I've been putting off truly taking care of my skin since I was a teenager and won't ever admit just how much I used to fall asleep each night with makeup on. Bleck! In order to get myself on track and establish some healthy habits this summer, I started researching the best affordable skincare brands. 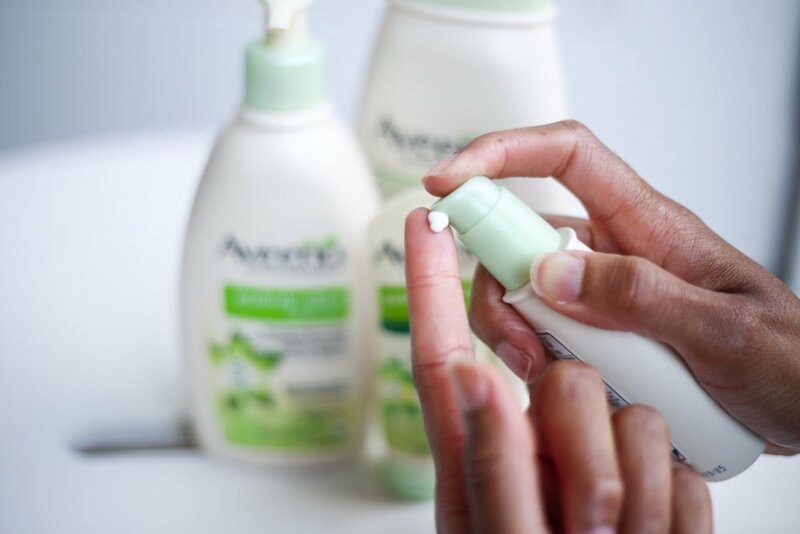 And when I polled some of you for tips, it turns out MANY of you love Aveeno products! I now officially wash my face every single night (thank god) and have started to moisturize my face as well, but exfoliation and protection were missing from my routine. I wanted a line of products that offered the whole shabang and so I jumped at the chance to join Aveeno's #PositivelyRadiant summer skincare campaign! Body Lotion: Truth? I have 5 different lotions in rotation at any time, but this one is my current fave because of the light reflecting minerals. Super lightweight, not sticky at all and my skin just drinks it up. Sheer Daily Moisturizer SPF 30: My regular moisturizer has SPF 15, but I use the Aveeno for things like taking Arya to the zoo or hanging by the pool on a Saturday. When I know I'm going to be in the sun all day, I feel better knowing that I'm at least protecting my skin. It's got Vitaman E so it's also SUPER hydrating! Overall, I'm a huge fan of the Positively Radiant line and will be keeping these in rotation through the end of summer. 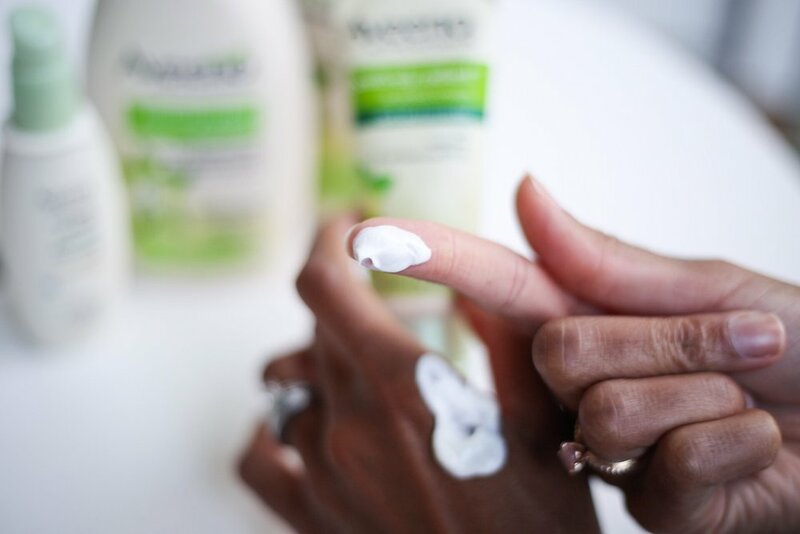 If you're looking for a brand that uses some natural ingredients for an affordable price, check out Aveeno. After years of listening to Jen Aniston rave, I'm officially an Aveeno fan for life! Shop my favorites below! This post is sponsored by Aveeno US, a trusted partner of the Mom Life Co. Enjoy!